Went window shopping today and wanted to share my finds. 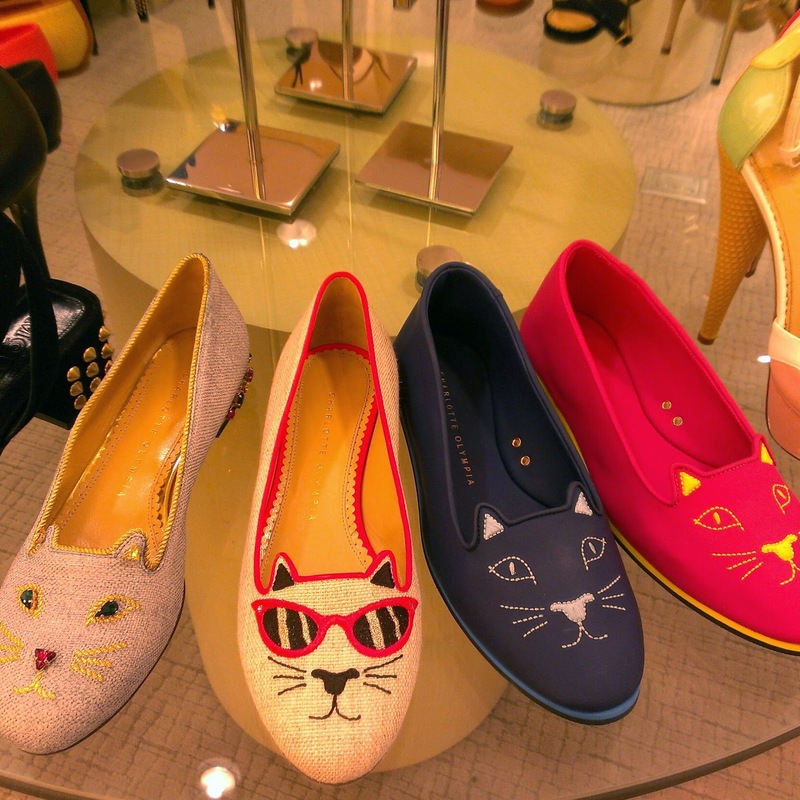 The Charlotte Olympia flats are my fave. The style is similar to my Miu Mius which are waaaay more comfy. The kitty design is so me (kid at heart). They retail from $700-$1200+. 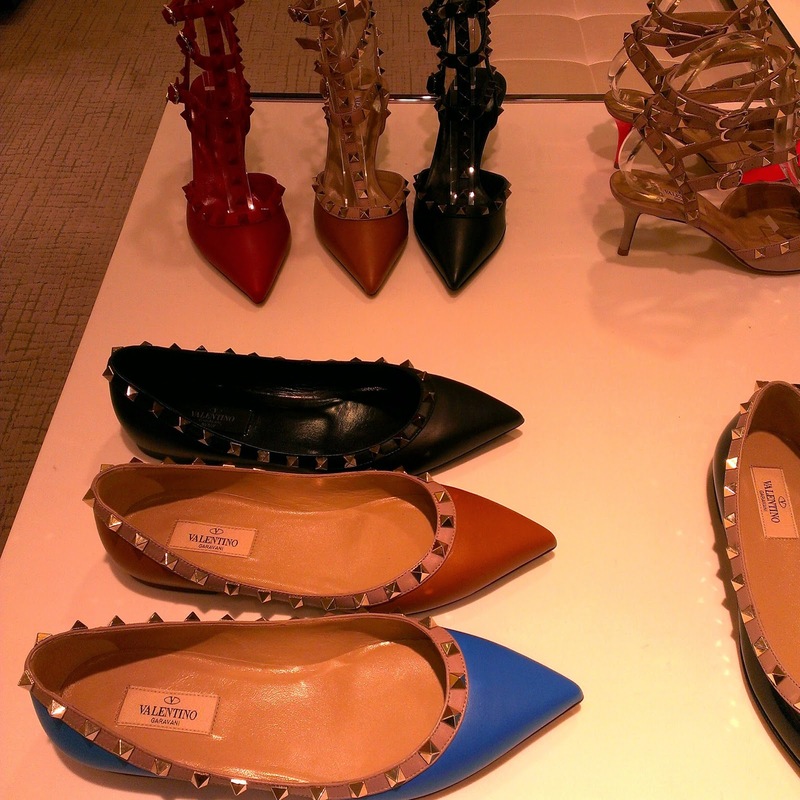 The Chanel(around $700) on the left with the metallic logo is my second fave, then the Valentino flats (around $700) that have the matte finish.